Deals New Deal: Buy Coins & Generate $550+ in Spend & $20 Profit! New Deal: Buy Coins & Generate $550+ in Spend & $20 Profit! The US Mint will release a new coin on Monday July 23, 2018 and it is a good opportunity to make a small profit plus to generate some spend and rewards on a credit card. Let’s take a look. Update: Wow that was quick. The deal has already filled up, but more slots may open up. It may still be worth signing up. The website says the following as of 3:30 Pacific 7/20. We’re sorry, but the July 23rd deal is fully subscribed. Please check back Sunday night at 9PM ET and Monday morning at 10AM ET to see if any slots open up. Thanks! On Monday, July 23rd – at 12:00pm ET the US Mint will release a limited edition Silver Proof Set of coins. The purchase is limited to ten (10) sets per household. After a $4.95 shipping fee, the total paid will be $554.45. You will be paid $575. The coins are bought by PFS Buyers Club. Note: Only sign-up and opt-in if you are committed. Please leave space for others who want to do the deal. Once you sign up for an account today (our referral link) you go to the “Current Deal” and opt-in. They only buy so many coins so those who are opted-in will be guaranteed to be able to sell the deal. Once enough people opt-in they will end the deal. When purchasing the coins you will have them shipped to your house. After receiving them you will ship the coins to PFS Buyers Club with a prepaid FedEx shipping label that they will provide for you. When they receive the package they will send you the payment. Is this safe? There is always risk when dealing with companies and money. With that said, I have done several of these deals and so have hundreds of Miles to Memories readers. I have also spoken on the phone with the owner of this company before. Could you make more money elsewhere? During some past deals it has been noted that you could probably sell the coins yourself elsewhere (eBay for example) and make more money. I am not an expert on coins, but this is probably true. PFS provides a very simple solution and I personally don’t feel like selling coins on eBay. Any time you can spend a few minutes and generate some free spend plus a small profit it is worth considering. While this deal isn’t a blockbuster one, it is fairly easy so it’s up to you to decide if all of the moving parts make it worth it for you. Once you are sure you want to go forward sign up and opt-in. Leave space for those who are committed but don’t wait too long or it might fill up. 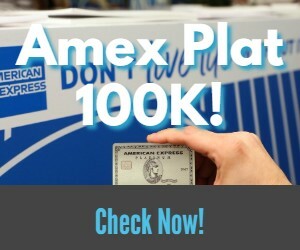 Next articleNew Amex Platinum Benefit Promises Flight Discounts on United, Lufthansa & More. But is it a Perk or Bait and Switch? Yup, got the email and opted for it. Will be good for reaching spend target of Iberia miles chase card. I believe It was full before you posted. I opted-in myself not long before publishing. I already see pre-sales of these on ebay. If these aren’t available to the public yet, how are these people already selling them and knowing exactly how many they have to sell? And why would anyone pay the inflated pre-sales on ebay when you might be able to get them cheaper from the actual source Monday? Obviously I have no idea how this all works. Manufactured Spending by coin scalping? Opt-in is available again (or was at 6:00pm Pacific). Good luck!